2018 commences the 10th birthday of Cornwall Symphony Chorus. 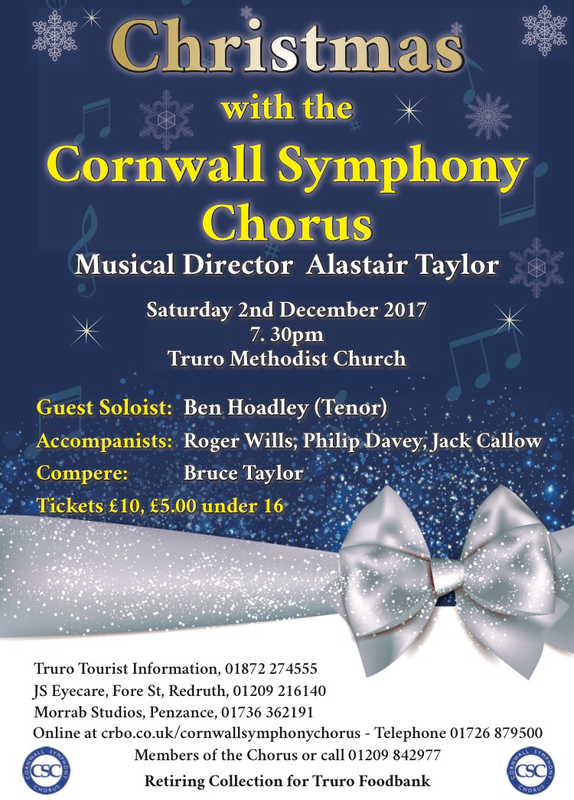 To celebrate this exciting occasion, a selection of very special events has been planned including a uniquely significant Concert at Truro Cathedral. This is a very exciting time for Chorus members, all of whom have worked extremely hard in the last 10 years to attain the immensely high musical standard that Cornwall Symphony Chorus is recognised for and continues to meet. Due mostly to the musical talents, commitment and dedication of all members, the size of the Chorus also impacts on our audience wherever we perform. Maintaining that standard is hard work and we are always looking for new members to contribute to our success so, in preparation for our celebratory year, we would love to invite new members to come along and join the party! If you attend one of our rehearsals held on the 1st and 3rd Sundays of each month at Redruth School starting at 2.30pm, you can see what happens at a rehearsal, meet the team, and even join in if you feel like it! 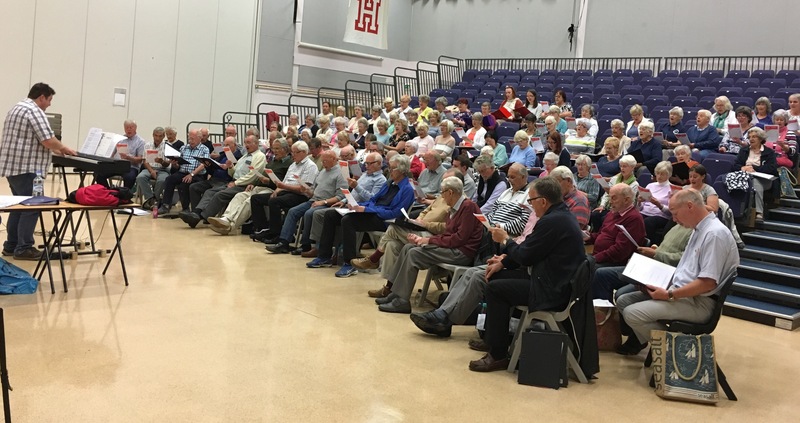 If you would like to find out more about joining our friendly and highly praised choir please read our FAQs page (in the members join us section). We would like to give a huge ‘thank you’ to one of our Chorus members; Christine Jones, for opening her home and garden to host a fundraising event for Chorus funds on Sunday 10th September. 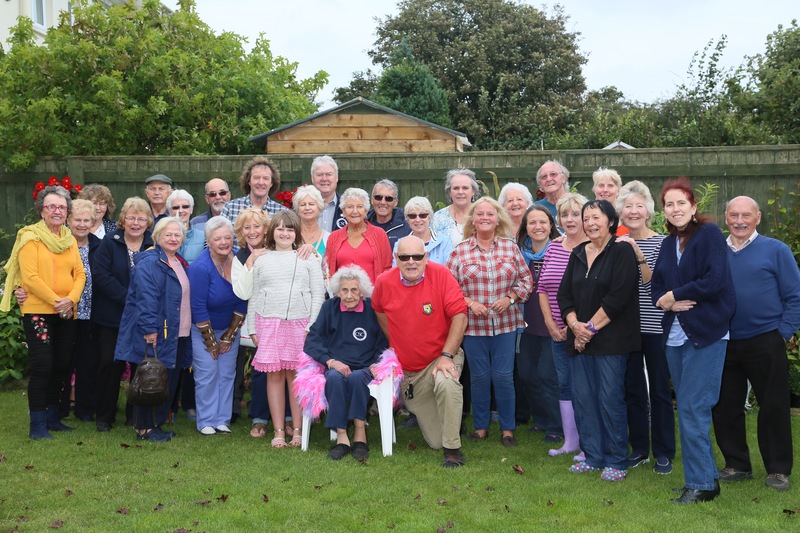 The wonderful Bar-B-Que was sponsored and cooked by Christine’s’ son and other attractions included fabulous cream teas, Bric-a-Brac, beautiful garden planters, raffle and auction. 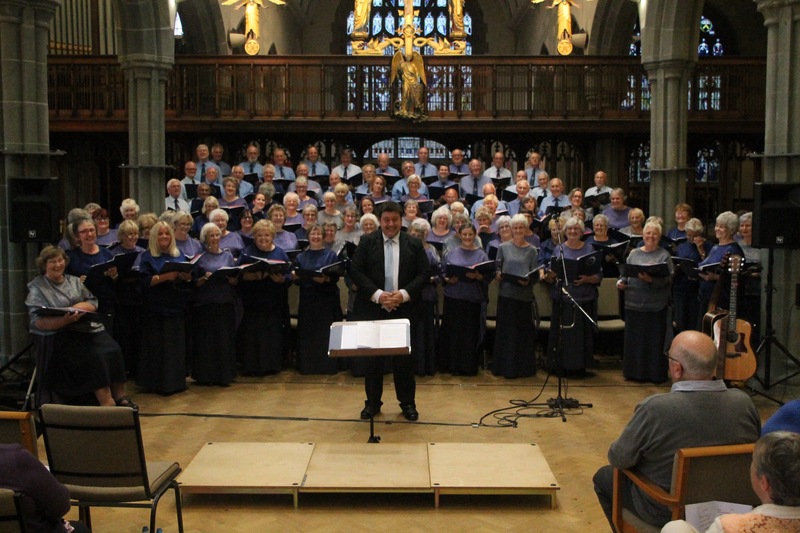 The event was enjoyed by Chorus members and their families and raised over £700 – amazing! Many thanks Christine, to you and your family, for all your hard work and for being such a warm host. Also thanks to Chorus members who supported the event with their donations, assistance and attendance on the day. Rehearsals are going really well here. Dusting off our Christmas music today to start preparing for our popular Christmas concert. As you can guess, as it’s only September, that we prepare months in advance so that we can give the best sound as possible for you. 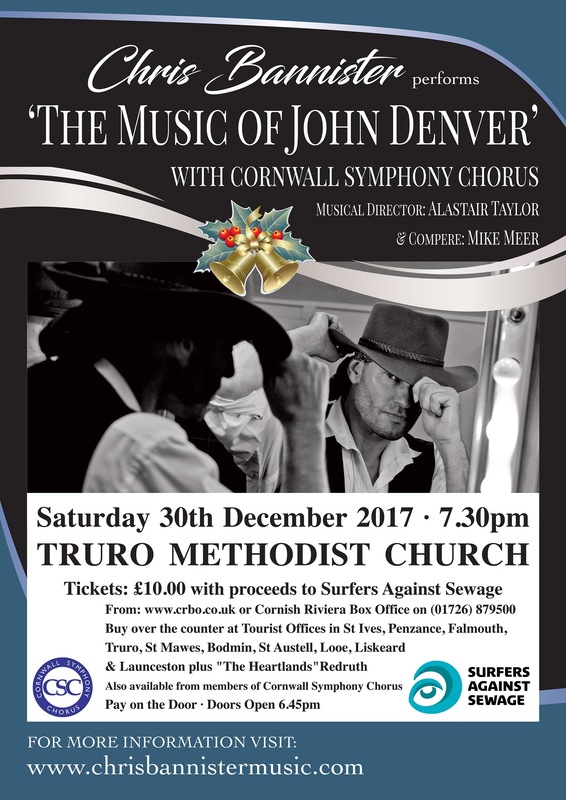 “Absolutely Stunning Performance” This was the type of statement used by members of the audience after last Saturday’s concert by Cornwall Symphony Chorus at St Michaels Church, Newquay. With the wonderfully witty Duncan Warren from Radio Cornwall compering and with the added bonus ofsinging to an almost full venue, the Chorus held the attention of the whole audience and received rapturous applause throughout the evening. 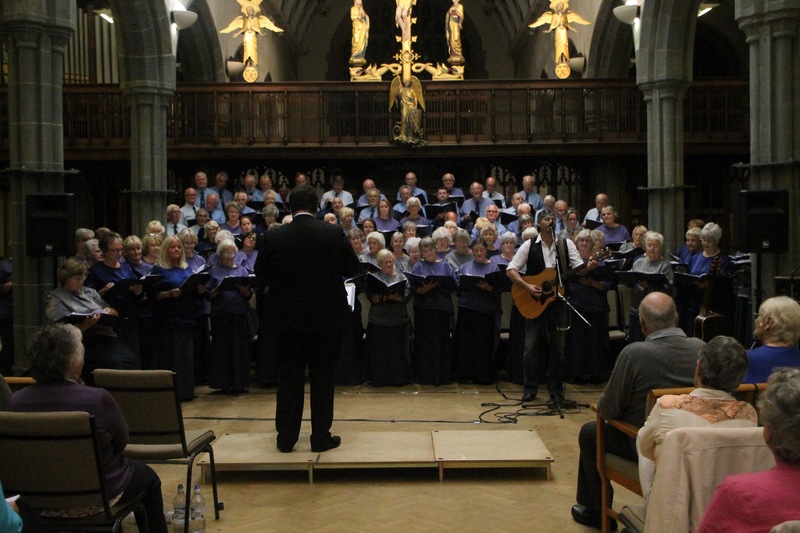 As a returning guest performer for the Concert, Chris Bannister kept everyone entertained with his ‘John Denver’ style of singing and the perfectly combined voices of both Chris and Chorus members with their rendition of Annie’s Song (sung twice as it was so well received) resulted in a standing ovation from the audience with calls for this to be recorded and sold for Charity. Attendance at St Michaels Church, Newquay is always good and there is no doubt Cornwall Symphony Chorus will sing there again. I feel sure we will hear the same class of positive comments next time. 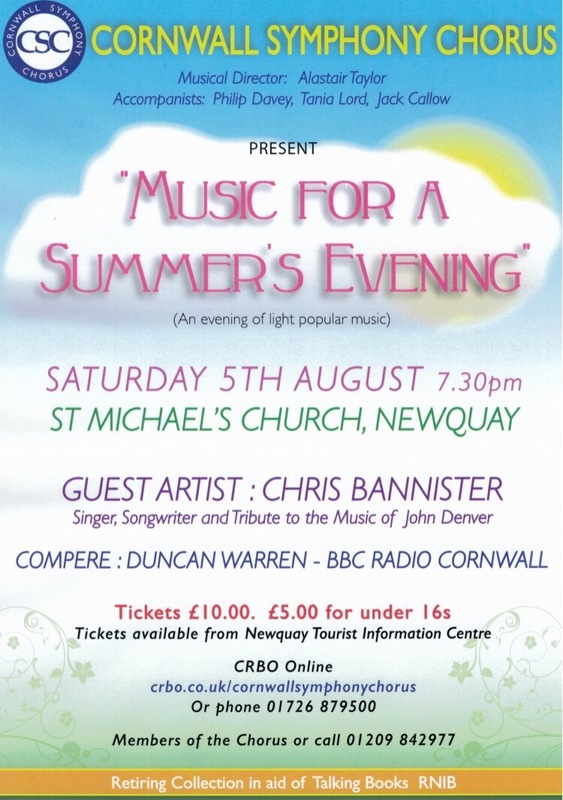 As promised, we can now confirm the details of our next Concert which will be held on Saturday 5th August at Newquay. We are really excited that Chris Bannister is joining us again as our guest singer; he has been very popular when performing with us at previous Concerts and we are certain this show will be no different. Tickets are now on sale and are selling fast so don’t delay in purchasing them – they can be acquired through various outlets as well as online. All the information regarding the Concert is in the advert below.